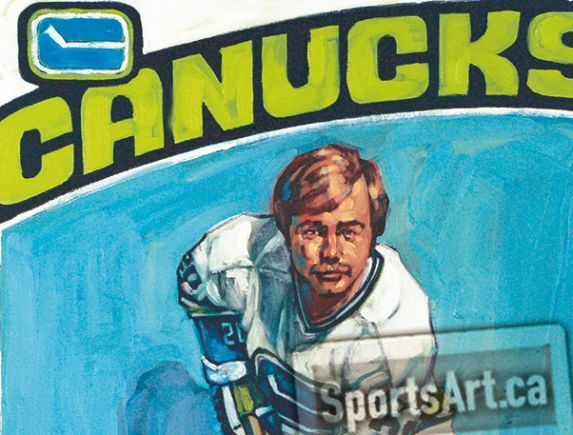 JEREMIE WHITE had a childhood hockey card collection. 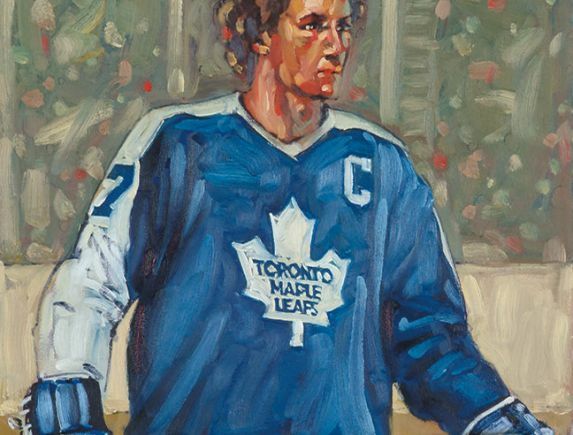 That collection has now inspired this series of paintings. 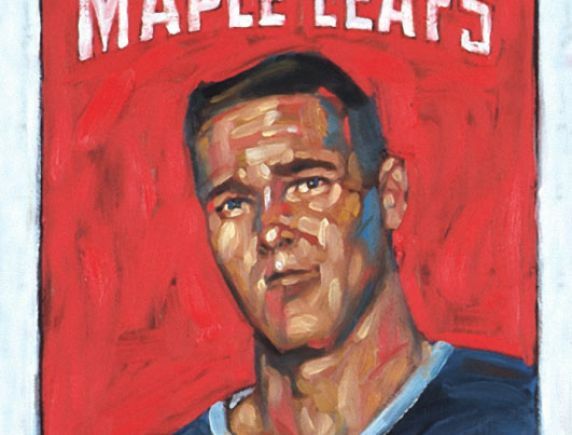 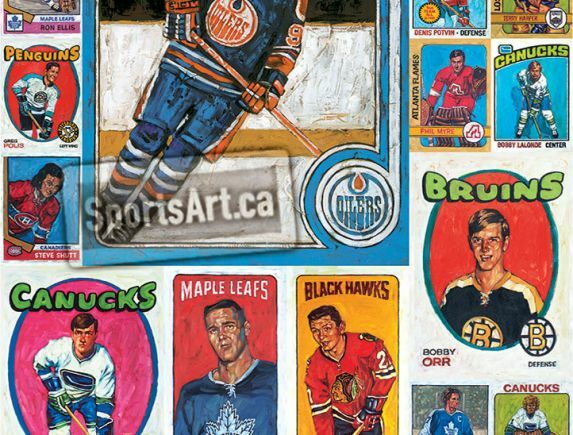 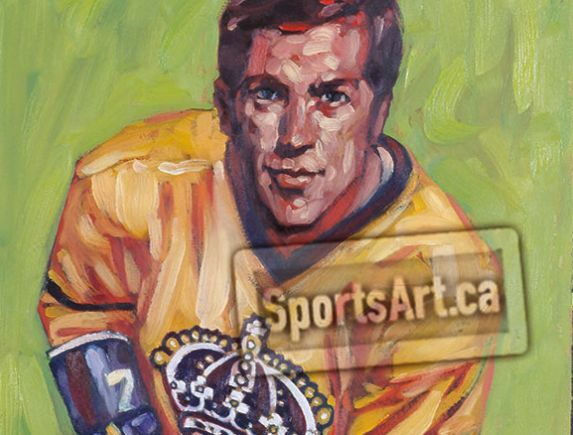 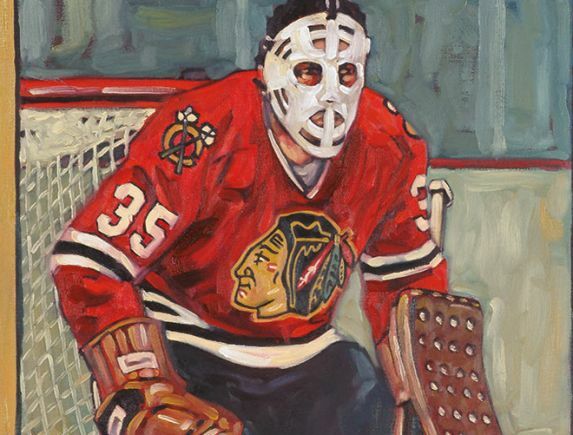 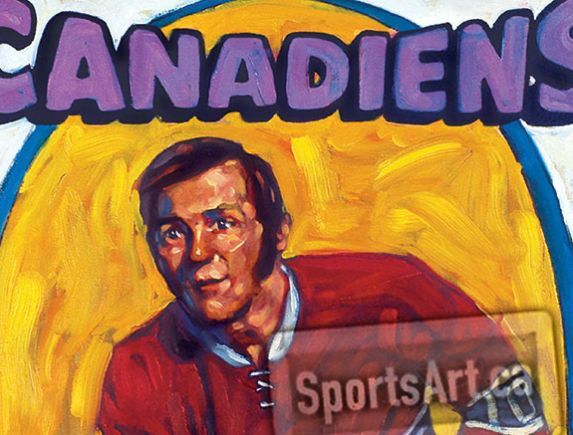 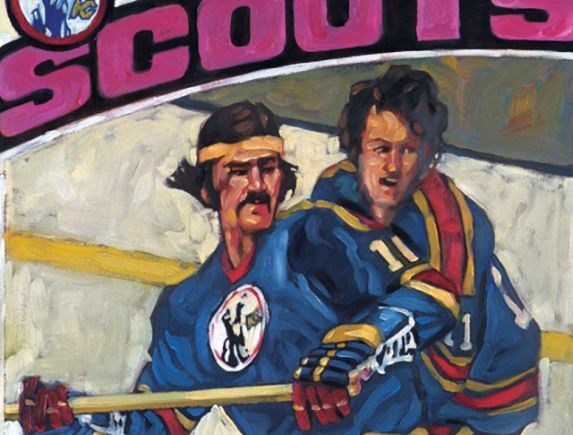 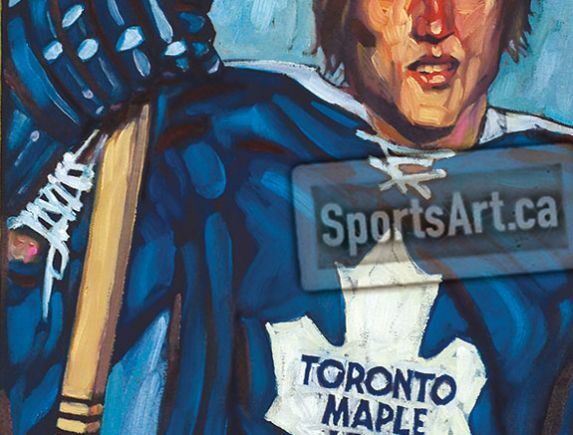 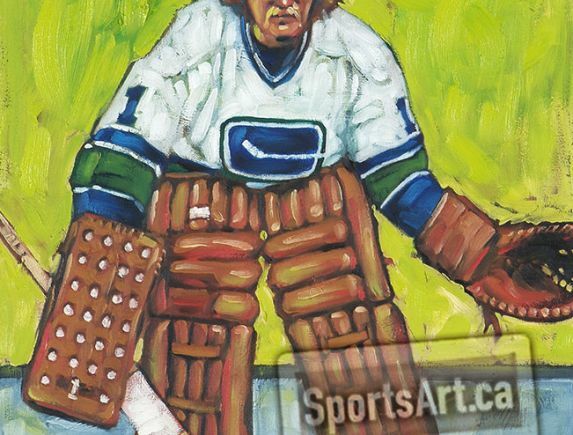 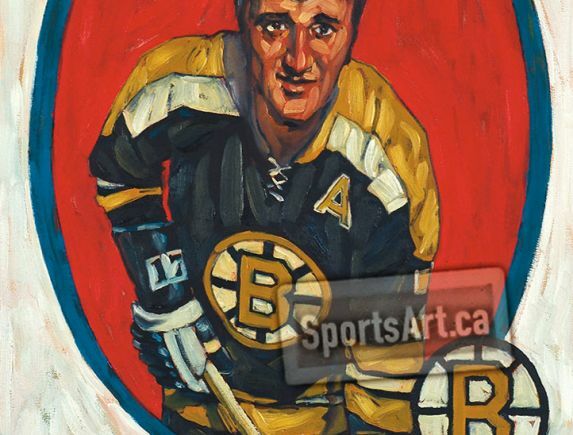 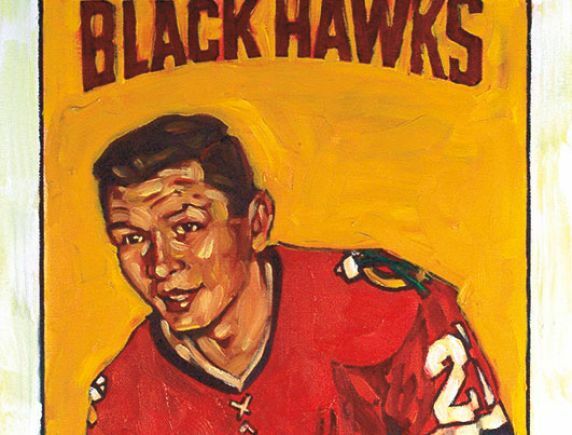 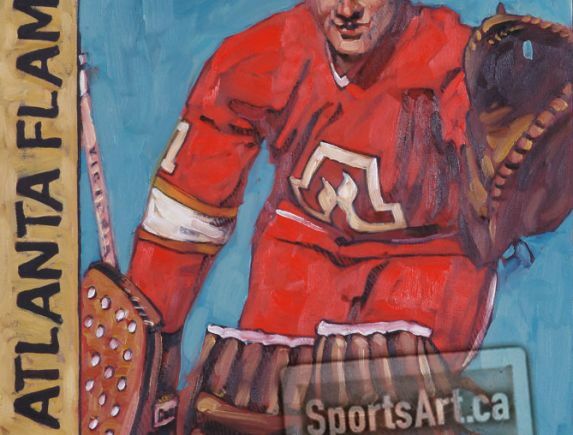 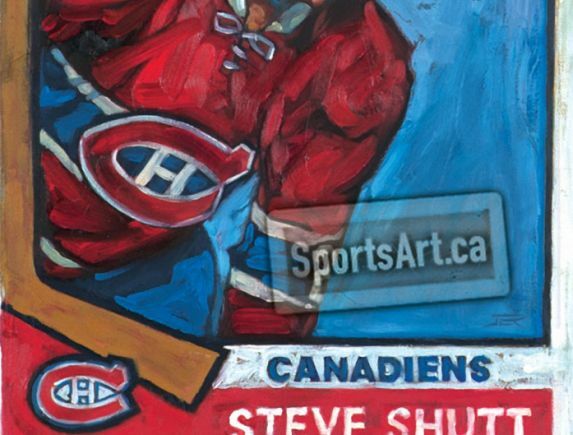 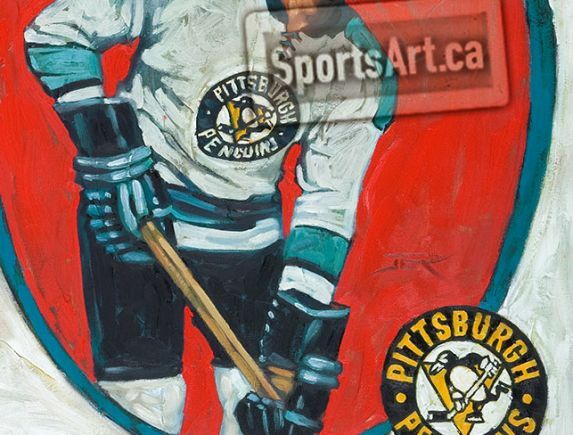 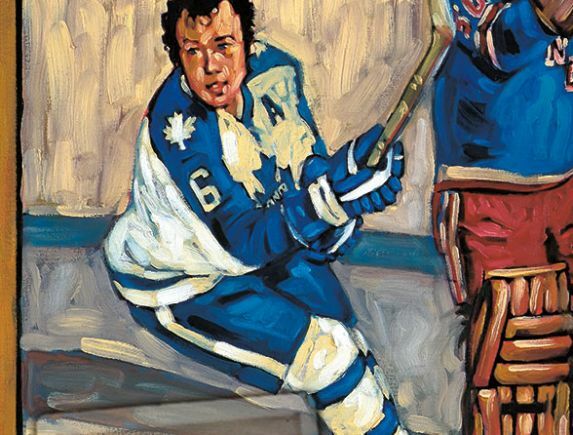 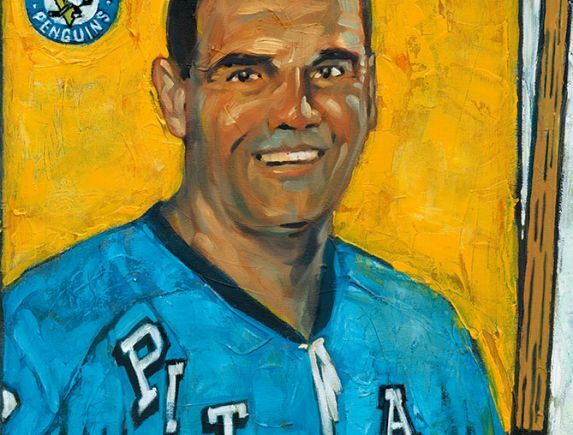 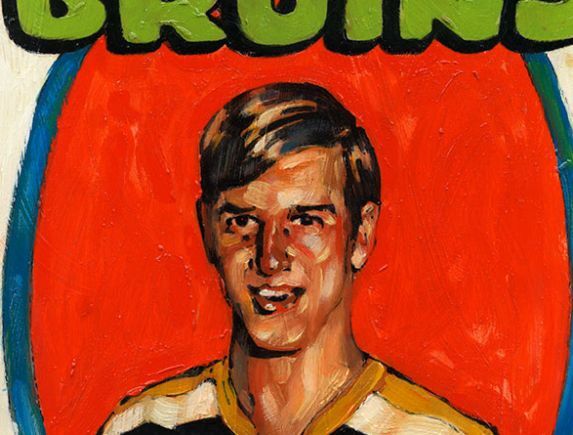 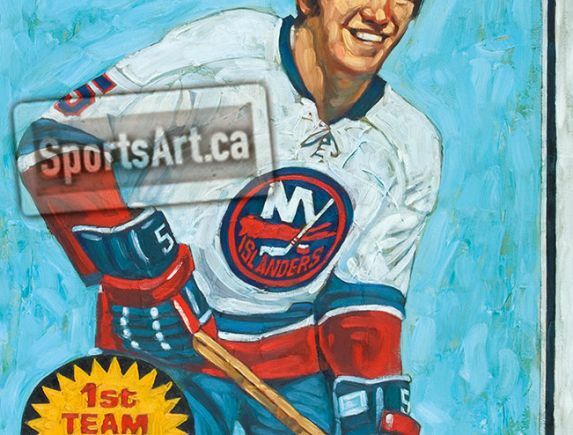 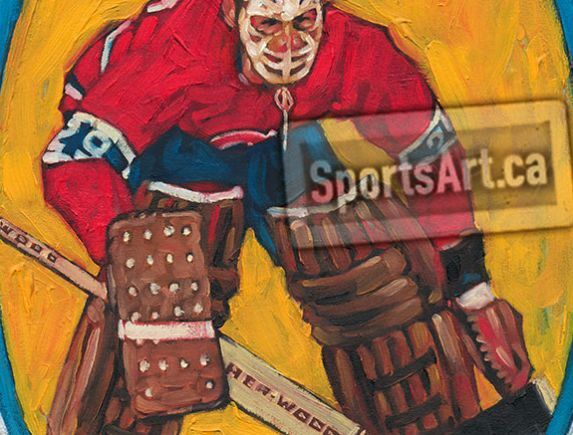 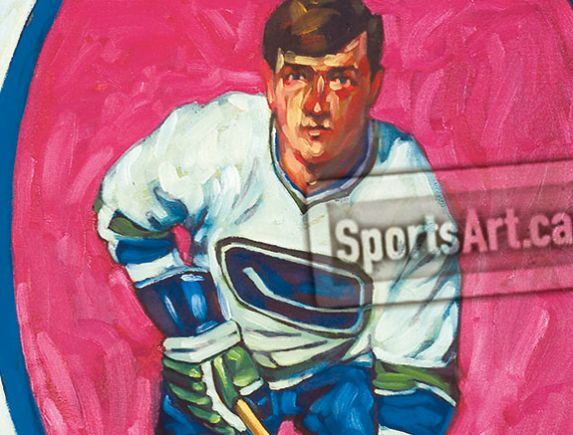 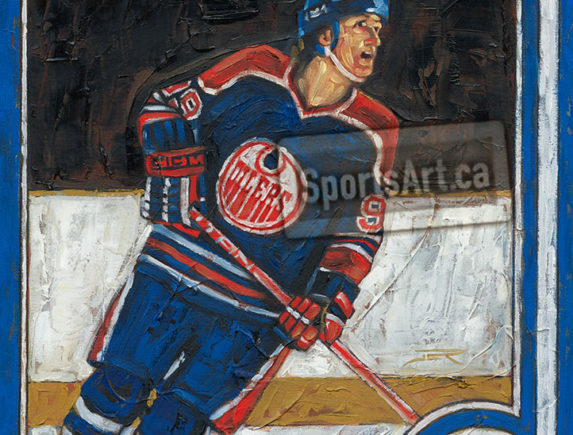 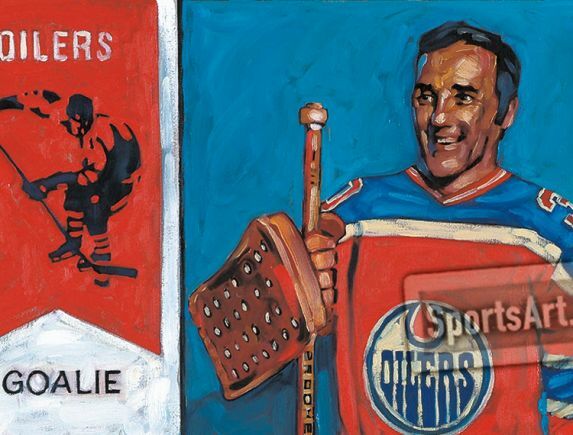 White's large translations of Canadian pop culture icons were originally done for the hockey shrine in his heritage home.